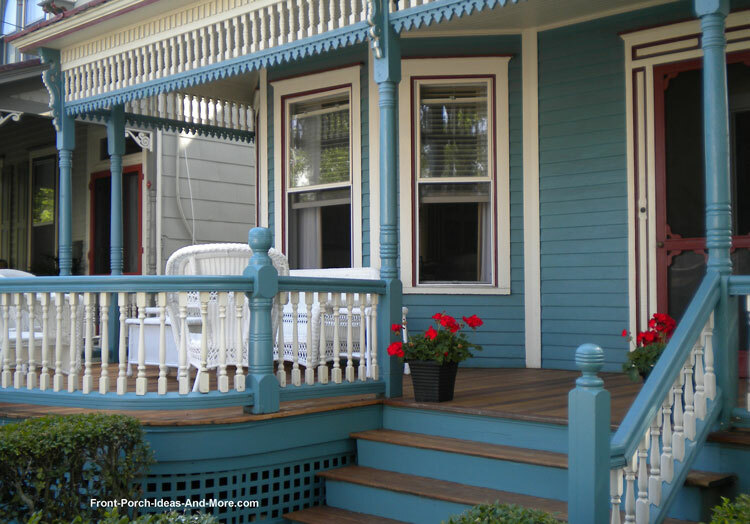 Use exterior house trim on your front porch to create charm and curb appeal - be the one that has a porch everyone notices! 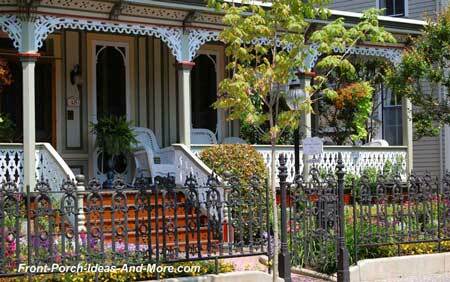 Mary and I love Victorian porches; some are like porches on steroids! But each is unique because of the outdoor trim pieces that are used to enhance their overall appearance. 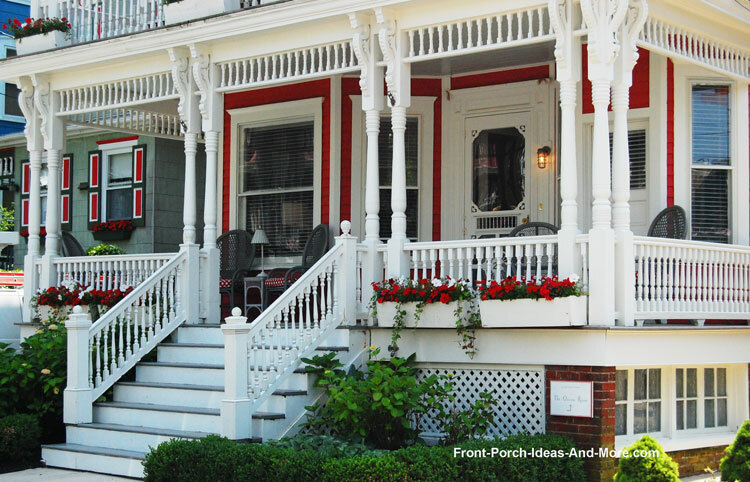 You don't have to have a Victorian porch to enjoy these exterior trim ideas; almost any porch will do. Combine different trim parts to create a very unique and beautiful look. 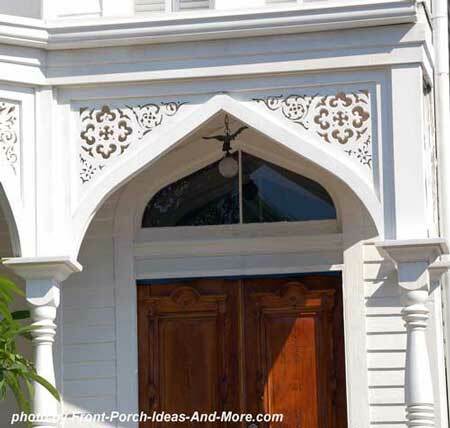 We like the way in which exterior trim was used on this small porch to create a decorative arch and a bit of privacy, too. Looks like it will filter the sunlight nicely, too. Gorgeous house trim painted in beautiful colors. Our pictures of gingerbread style houses (link below) depict the best in exterior house trim. 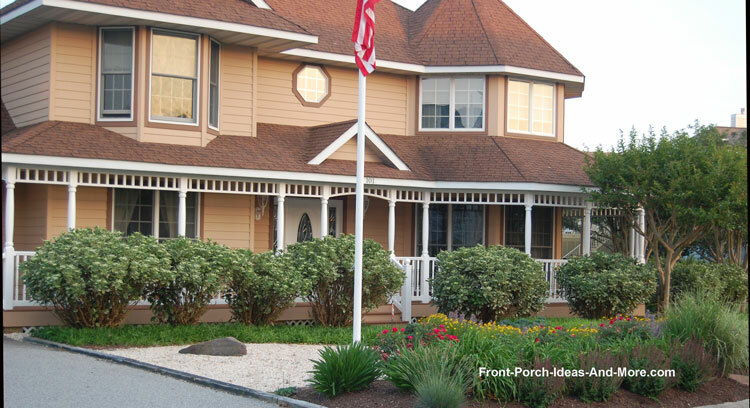 Outdoor trim is not only for Victorian homes; it looks great on almost any porch style. 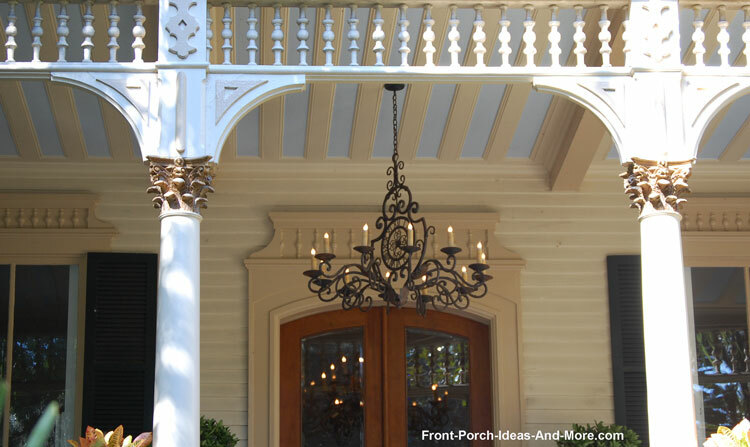 Use these ideas on your porch to bedazzle your neighbors. 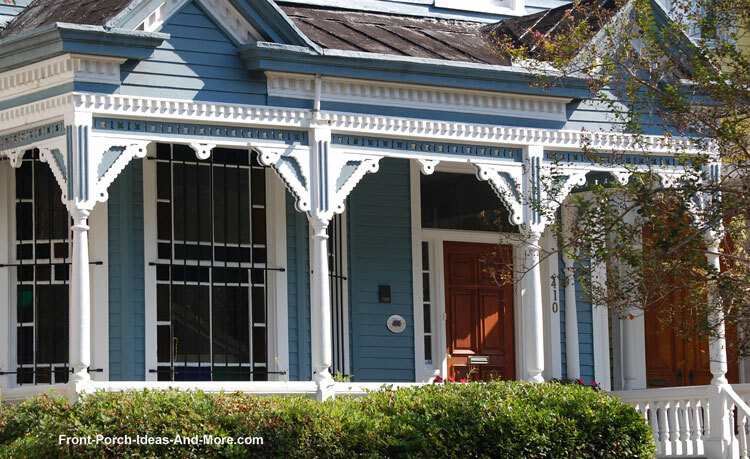 We'll show you the three major types: running trim, spandrels and brackets. Running trim is normally installed between your porch columns. It comes in various styles and is really easy to install. You can paint it to match your home's color or make it a contrasting shade for a more dramatic look. Outdoor trim is an easy DIY project. Notice how the brackets are perpendicular to the street with running trim between the columns. The brackets extend from the columns to the eaves of the porch roof instead of the beam. When considering placement of exterior house trim explore all of your options and choose what works best. Here's an example of using contrasting colors for a different effect. 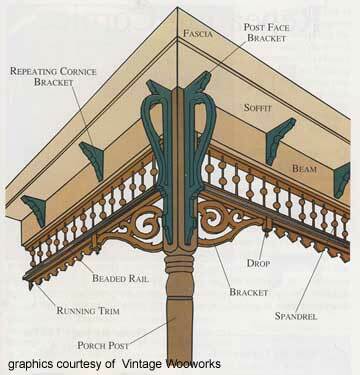 Also note how they used brackets and running trim in combinations (at the column) to create a uniquely intricate look. 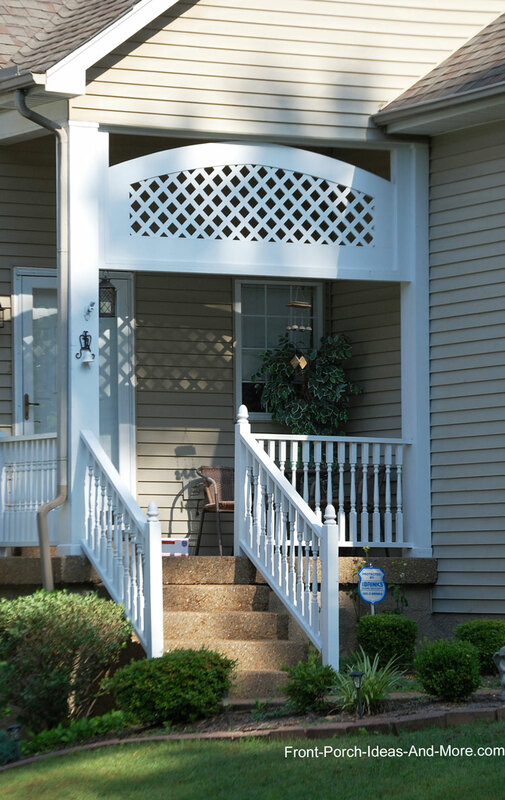 This homeowner used a lattice-type running trim to create a more simplistic look that works really well. It is just enough to stand out but not overwhelm the porch. 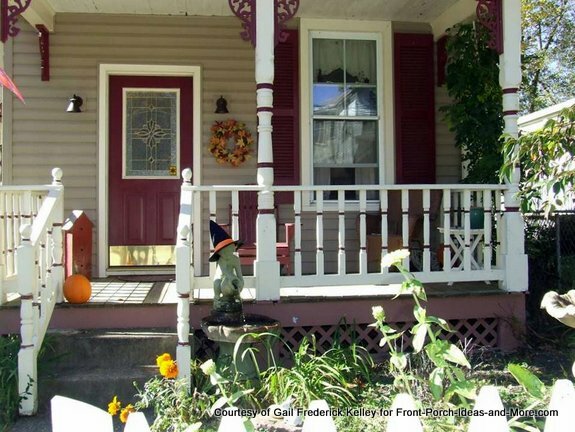 Imagine adding brackets to the columns to support the running trim - it would give the porch a totally different look. Outdoor trim can be wrought iron too! 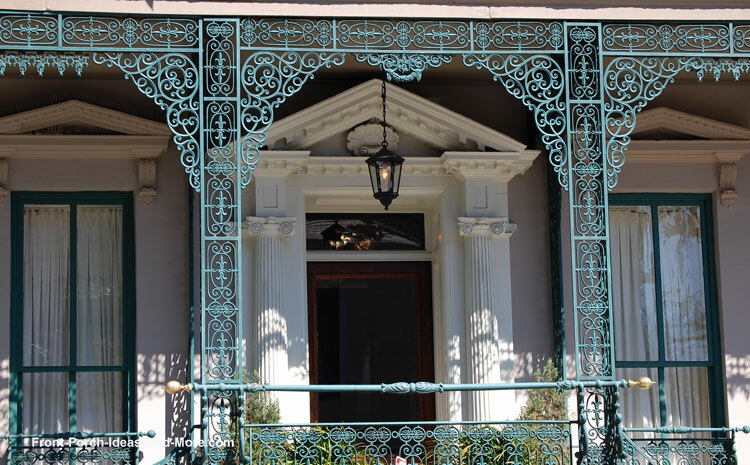 Wrought iron can give your porch a very intricate look and it lasts forever. Running trim on a beach house! 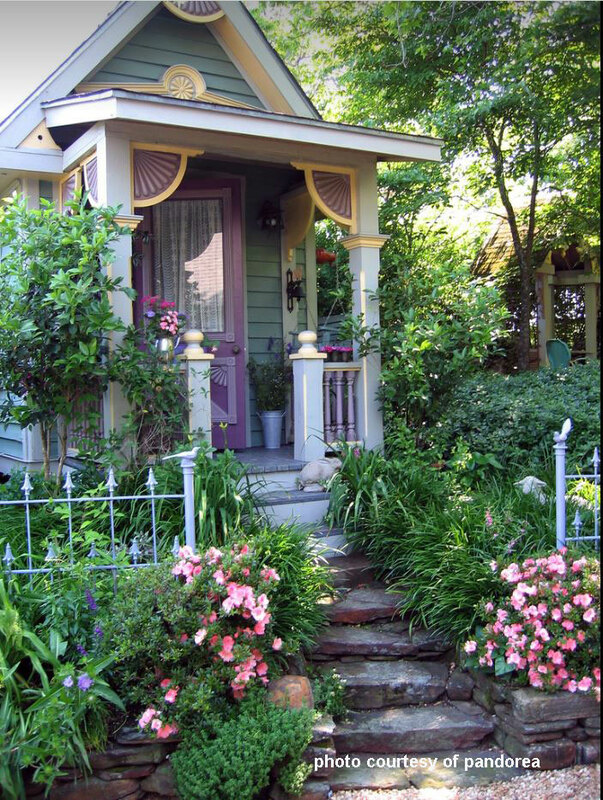 It gives the porch a more charming look and tends to make it look more expansive. Inviting, isn't it! Excellent example of running trim. Note the additional trim piece at the bottom to enhance the overall look. Hope you now realize you can mix and match and add additional pieces to make a statement. It's the same process finish carpenters use on the interior of your home, that is, combining trim pieces to create a cohesive look. This spandrel is made by framing intricately cut panels. Spandrels can definitely add instant appeal. 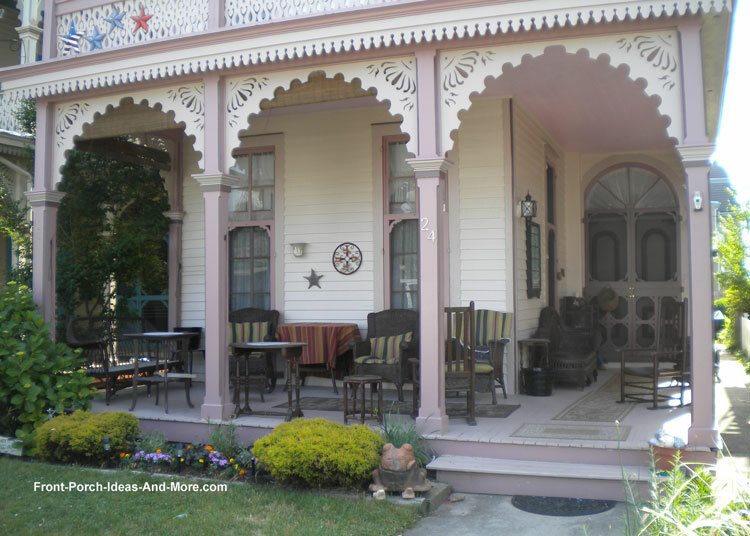 Try to envision this porch without the spandrels - just not the same. 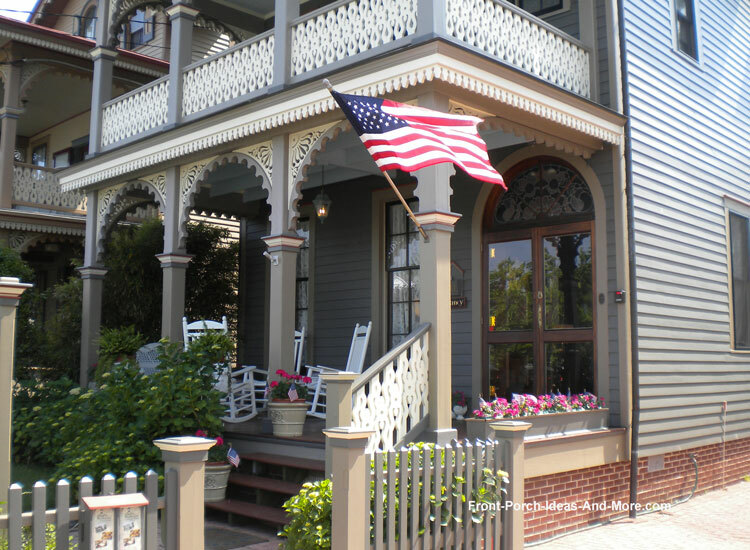 On this particular porch the spandrels create arches between the columns giving the porch a softer, more comfortable look. 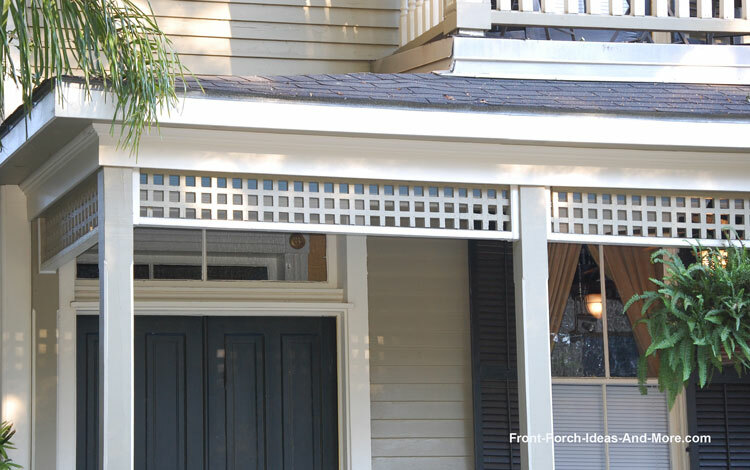 For a less bold look use spandrels that are more narrow like on this porch. It still gives the porch a unique look but they tend to be less overwhelming to the eye. 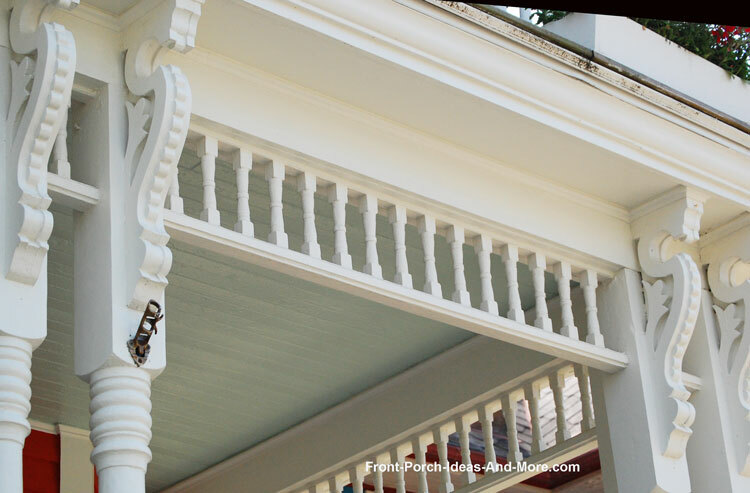 Spandrels and running trim add yet another dimension to the porch. 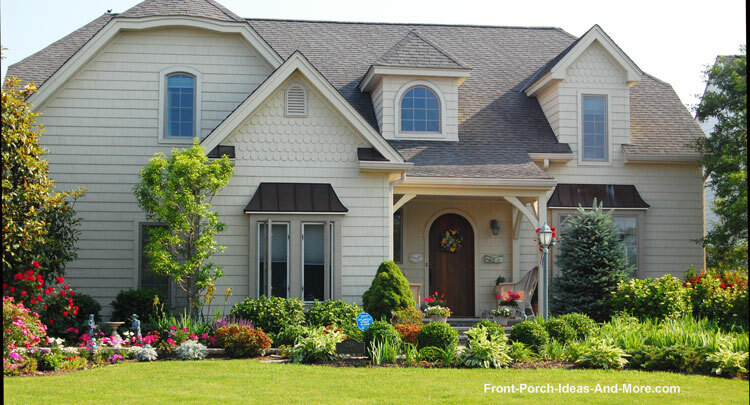 Again, using combinations can give you a multitude of exterior trim ideas. 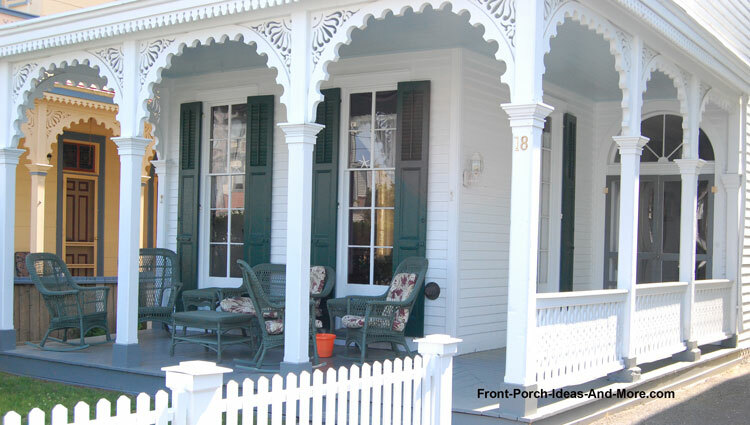 Spandrels on the columns and running trim on the front of the eaves gives this smaller porch more dimension. You might also note the detailing on the columns which is another easy DIY project! 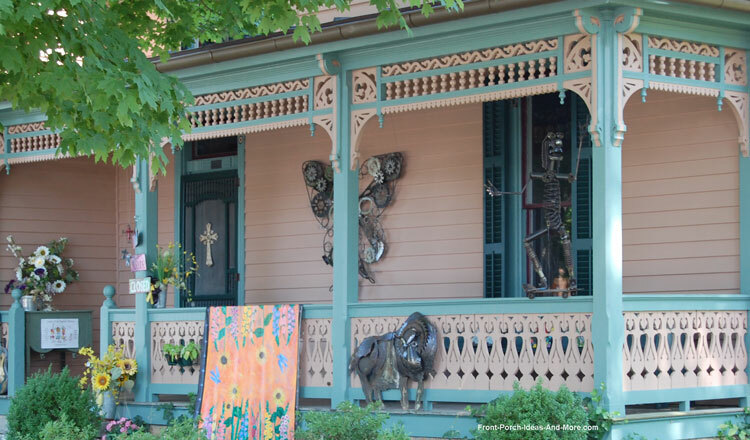 Ever think of enhancing your gables with decorations like these? They are beautiful, aren't they? And because they are made of PVC, they are virtually maintenance free. So no need to be painting year after year. Just put up and enjoy. Visit Vintagewoodworks.com to see the variety they offer. 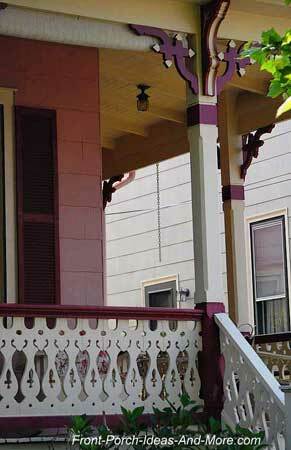 If you don't add any other trim to your porch consider adding brackets to your columns. Again, they too are easy to install and give your porch some character. They work extremely well on any porch and are available at most home supply stores. Thanks to our reader, Gail, for sharing this picture of her Ohio porch. The decorative brackets make it extra special. Plain, simple, yet add appeal to this small porch. The brackets, in this case, frame the entrance to the home in an arch-like fashion. 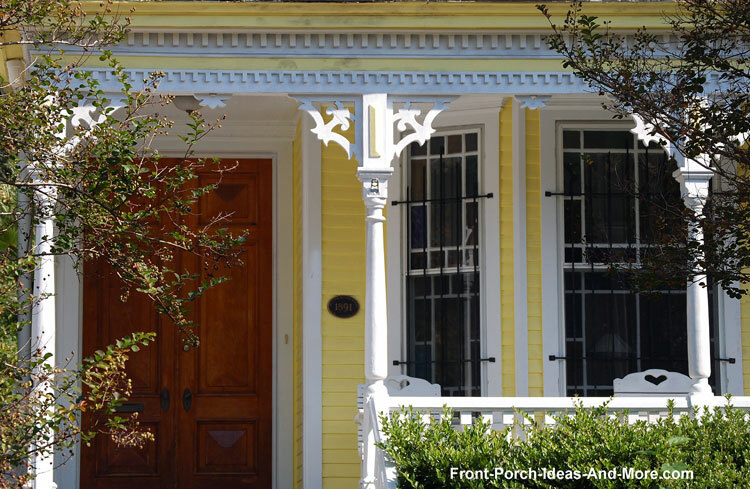 Small brackets have dynamic impact on this Victorian porch. Also note the running trim on the gable. 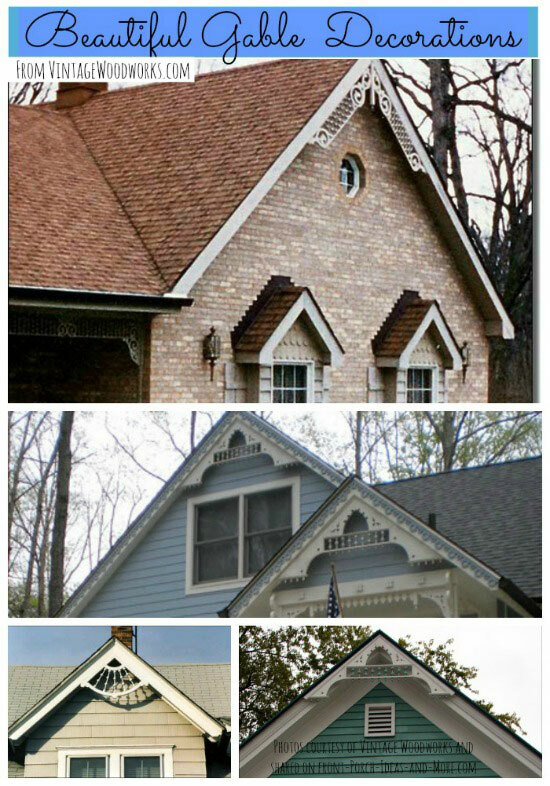 Gables are perfect locations for exterior house trim! A close up of running trim and bracket placement. You could just as easily use different brackets and attach them underneath the trim to give it a different look. 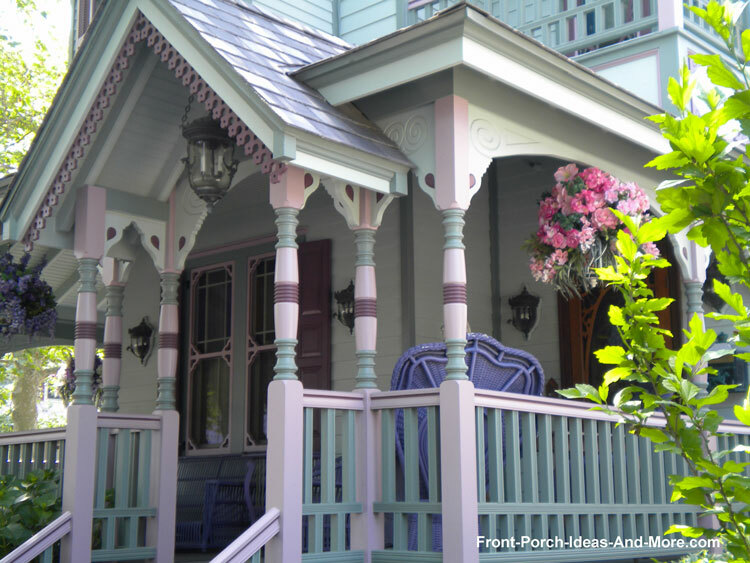 Brackets and dentil moldings create a whimsical look on this porch. A definitely charming look. Use more! Here's an example of using multiple brackets on the columns. Options are only limited by your imagination!